"Live your life each day as you would climb a mountain. but many beautiful scenes are to be observed from each new vantage point." 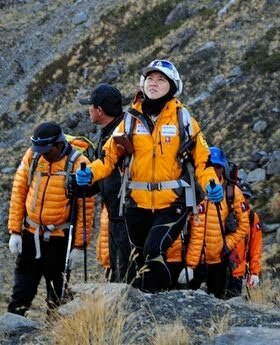 Today, Oh Eun-Sun, 44, became the first woman to climb all 14 of the world's tallest mountains. Is it beyond the realm of possibility to think that if we set our minds to it, the women of the world will one day unite and "birth" this planet into peace?